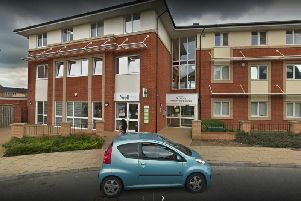 Northamptonshire County Council is transferring the home care of hundreds of vulnerable people as one of its providers has hit financial difficulties. An advice line will be set up early next week for any of the 255 people affected by the problems being faced by national home care provider Allied Healthcare. The company was issued a warning by regulator the Care Quality Commission earlier this month about its financial instability and said it had a legal duty to notify all of the 84 local authorities it has a contract with. A spokesman for the county council said: “We are working closely with the company to put in place contingency plans which include moving the staff to other care companies to ensure that people continue to receive care and support in their homes. The council provides home-care for 1,894 across the county. Allied Healthcare was awarded a contract along with five other providers in April this year. The cost of the overall four-year contract is £95m. NCC says Allied Healthcare had been a long-term provider of healthcare. A spokesperson for Allied Healthcare said: “The Stage 6 notification has negatively impacted Allied Healthcare, leading a number of customers to transfer care services to alternative providers, and disrupting staff retention and recruitment. “These developments have intensified the impact of the challenging environment within which we operate and come immediately prior to the Christmas period, when pressures on care providers are at their highest. This has also meant that we have had to re-evaluate our long-term business plan. “We are therefore actively exploring a range of options in order to minimise disruption to continuity of care, including the sale or transition of care and support services on a regional or contract-by-contract basis to alternative providers best placed to deliver care at a local level. Such sales or transitions will involve the transfer of staff. This process will be conducted in close cooperation with our customers. It said RBS has extended its credit until the end of the month.